NEW YORK, NY, September 24, 2018 — Daniel B. Botkin, Ph.D., is a distinguished biographee of Marquis Who's Who. As in all Marquis Who's Who biographical volumes, individuals profiled are chosen from among a pool of the most prominent professionals and are selected on the basis of current reference value. Factors such as position, noteworthy accomplishments, visibility, and prominence in a field are all taken into account during the selection process. As a widely regarded biologist, Daniel Botkin has served on the faculty of Yale University's School of Forestry and Environmental Studies, and more than 20 years on the faculty of the University of California, where he was chairman of The Environmental Studies Program. Now Emeritus at U.C. Santa Barbara, he has also served as an adjunct professor at the University of Miami. Dr. Botkin has extensive experience in dealing with major environmental problems, such as the conservation of African elephants, bowhead whales, salmon and forest ecosystems. He has also developed expertise in dealing with global environmental issues, biodiversity and environmentally sound energy sources. He has been a pioneer in ecological and environmental computer modeling, satellite remote sensing of ecological phenomena, and the use of historical data to estimate risks of extinction of endangered species. As a scientist and researcher, Dr. Botkin takes great pride in studying life from a planetary perspective. He has been credited with solving several environmental issues throughout the course of his career, in addition to being noted as one of the first ecologists to investigate the possible ecological effects of climate change. A widely regarded voice in the scientific community and a recognized fellow of the American Institute of Biological Sciences and Teachers and Academic Textbook Association, Dr. Botkin has authored numerous works in his areas of expertise. He received the Santa Barbara Botanic Garden, John C. Pritzlaff Conservation Award in 2012 for lifetime contributions to the conservation of nature. He was previously selected to receive the Texty Award for Best Biological Sciences Textbook from the Textbook and Academic Authors Association in 2004. His most recent publications include “Twenty-five Myths that are Destroying the Environment,” “Environmental Science: Earth as a Living Planet, 9th Edition,” “Discordant Harmonies Reconsidered,” “Powering the Future: A Scientist's Guide to Energy Independence” and “Essential Environmental Science, 1st Edition.” As an educator, Dr. Botkin delivered lectures at a variety of conferences and institutions. To this end, he was named a Distinguished Visiting Scholar with Green Mountain College, Annual Distinguished Visiting Scientist with the Long Beach Aquarium and Astor Lecturer with Oxford University, among other prestigious positions. For more than four decades, Dr. Botkin has focused on researching the possible effects of climate change on biodiversity. He is credited with developing the first successful computer ecosystem model entitled JABOWA. Throughout the course of his career, Dr. Botkin has completed extensive field research in a variety of wilderness areas, including forests in Alaska and Michigan, as well as in Siberia and in the African plains. Noted for his focus on the study of endangered species, he has used historical information to recover wildlife population sizes and sea ice changes. In recognition of his contributions to research and development, Dr. Botkin has been featured in a wide range of honors publications, including the 32nd and 33rd editions of Who's Who in Finance and Industry, and the 67th and 70th editions of Who's Who in America. Prior to pursuing a scientific career, Dr. Botkin received a Bachelor of Arts from the University of Rochester in 1959. He went on to complete a Master of Arts through the University of Wisconsin in 1962 and Ph.D. through Rutgers, The State University of New Jersey, in 1968. Since completing formal education, Dr. Botkin has been continually praised for his unique perspective to his subject. A frequent public speaker, his books and lectures examine the effects our cultural legacy has had on determining what we believe to be scientific solutions. In addition, he discusses the roles of scientists, businessmen, stakeholders and government agencies in new approaches to environmental issues. “Daniel B. Botkin virtually takes you to Tsavo in the first chapter. The author ensures you get a basic feeling of the National park in Kenya if you have never been there. His style of writing is incredible, as he wonderfully describes how the herd of elephants moves across Tsavo's dry plains. Stylistic devices like similes and metaphors are embodied in the text, making the book even more interesting. Through the author's narration, one can only imagine how much fun he had at the national park. His way of describing the events is out of this world and makes the reader wish to really have seen all that he saw. The book not only talks about Tsavo and game life in Kenya, but also touches on some towns, sceneries, and other parts in the east African country. At the start of every chapter, the author inserted quotes by known significant individuals in history. The nuggets of wisdom are from historical figures like Richard Feynman, C.G. Jung, William Empson, Lawrence M. Witmer, Joseph Conrad and many more. These little pieces of texts not only make the book more aesthetic but also introduce the reader to new subjects and content. The book captures details of the happenings and occurrences, the author and his team of researchers went through while in East Africa. Their encounter with the wild, their resentment for poachers and their mission to save elephants made the book thrilling. It is a shame that humans can be selfish and choose to terminate the life of the wild animals, just for personal benefits. When reading this book, you will get an insight into why it is important that everyone takes part in the quest to save the remaining elephants in the world, and protecting all game animals. 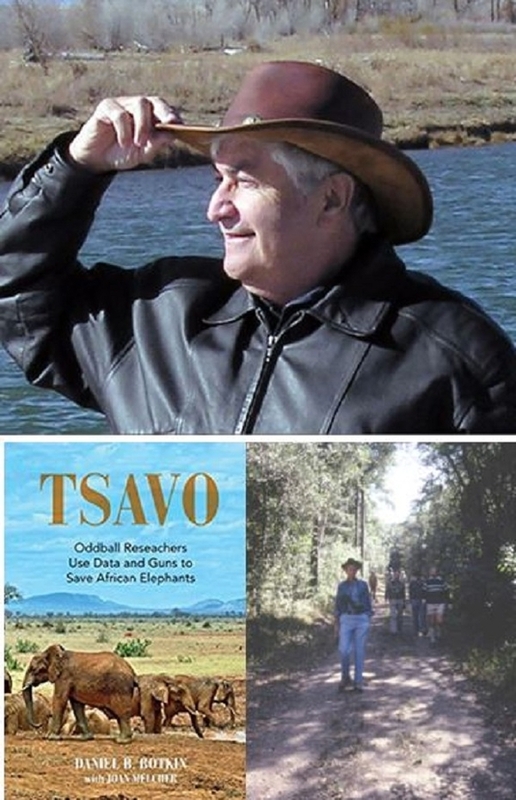 Another great thing about Tsavo: Oddball Researchers Use Data and Guns to Save African Elephants is that the book is factual. All the events, experiences and places mentioned are real. Reading the book gave the feeling of being part of the author and his associates' life. Their encounters are authoritative, and one has the genuine feeling that the author put in a lot of work when piecing every experience together. The accounts are clearly stated, and every detail is captured. The author is also explicit in his feelings towards the poaching menace, and how much of a loss it is. Though severally mentioned, there is an entire chapter the author dedicated to talking about the subject of poachers. It was agonizing to read about all the bad stuff poachers and other criminals do to elephants. The author evoked a feeling of affliction in me, as I read through the chapter. He enabled me to see better how much damage has been caused to elephants over the years.